600sqm Land for Sale in Ikorodu Perfection Cooperative Estate Ikorodu is within Silver Spring Peninsula in Butterfly Estate in Owutu community off Isawo Road, Agric, Ikorodu. VIP GARDENS BEECHWOOD ESTATE, LAND FOR SALE IN Lakowe **BUY ON OR BEFORE FEBRUARY 9TH, 2018 AND GET A 5% DISCOUNT ON THE PROMO PRICE** VIP Garden Lakowe is located in a lovely and serene environment of the new economic centre of IBEJU LEKKI Lagos State. It’s projected for huge Return on Investment within the shortest possible time. THIRD MAINLAND COURTS; is situated in the center of a very luxurious area of oworonshoki shore line viewing the magnificent third mainland bridge. Third mainland courts is covered with a genuine supreme Court judgement title document, a deed of assignment signed by the paramount ruler of the land. Hectares and Acres of Land for sale in Lagos State – Cheap land for sale in Nigeria. Be a landowner / real estate investor anywhere in Lagos. Buy or lease a cheap Nigerian Property today. Lagos is the commercial capital of Nigeria and is also one of the major financial hubs in Africa. This is probably why it is said that Lagos is the land of opportunities. See reasons why Lagos is an exciting place to live in. If you have never visited this city, then you’re missing out on quite a lot. Checkout the beaches in Lagos state. Also view the most expensive places to live in Lagos. 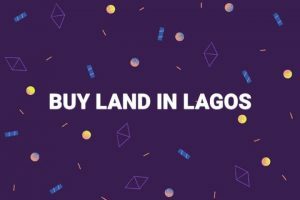 Learn how you can buy land in Lagos. You can get full or half plot of land for sale in lagos mainland or Island. But one has to be careful when you want to acquire land for sale in lagos and ogun state. 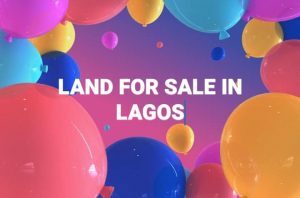 Lagos state government land for sale :One has to be careful about buying land in Lagos. Among many reasons, some properties have been acquired by the government. Lands acquired by the Government for its own specific use are lands under Government acquisition. It means the Government has plans for these lands and they intend to do something with them in the nearest future. This is one reason you need to find out what you need to know before you buy land in Lagos.